I was looking for ways to try out my new Ninja. We were having fajita’s for lunch. Cumin — start with a teaspoon (eating kind not measuring) fill most of the bowl. Add more to taste. Juice lime — I just juice it into the Ninja. 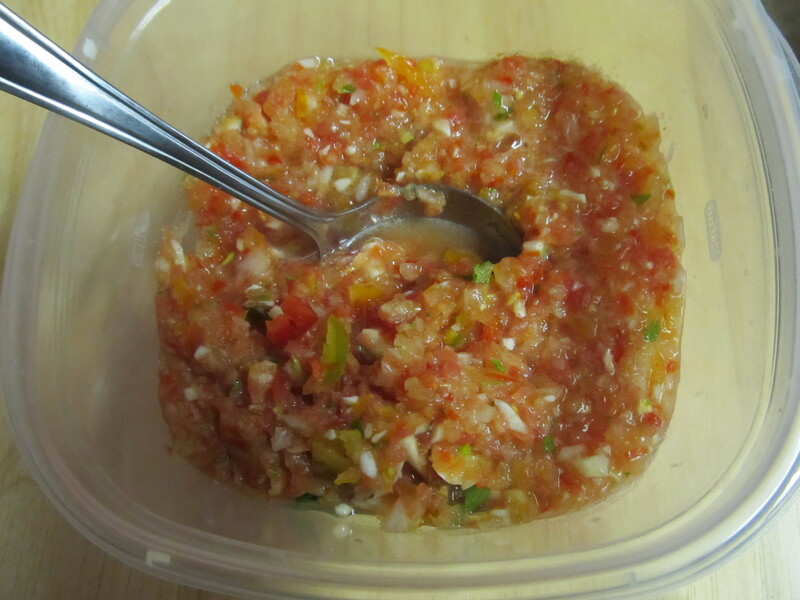 Toss ingredients into Ninja or food processor. Pulse until it is chunky.